Originally made for one of the IBM PCs. 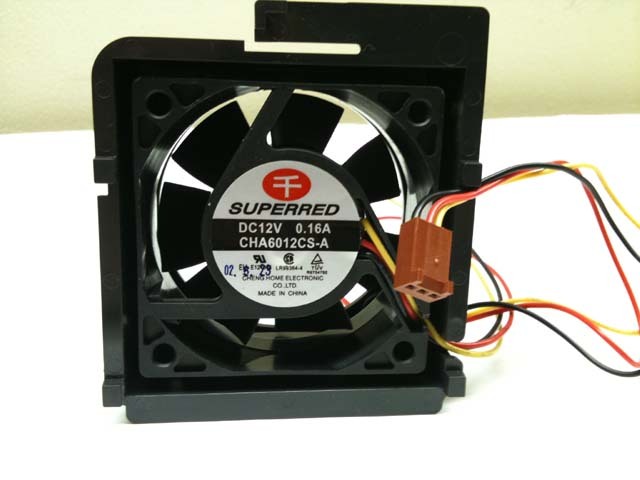 Made by Superred, model CHA6012CS-A. 12VDC, 0.16A. Has a 14 inch long 3 wire cord with 3 prong female connector. Mounted for vibration resistance in a black plastic container, 2-3/4" square. 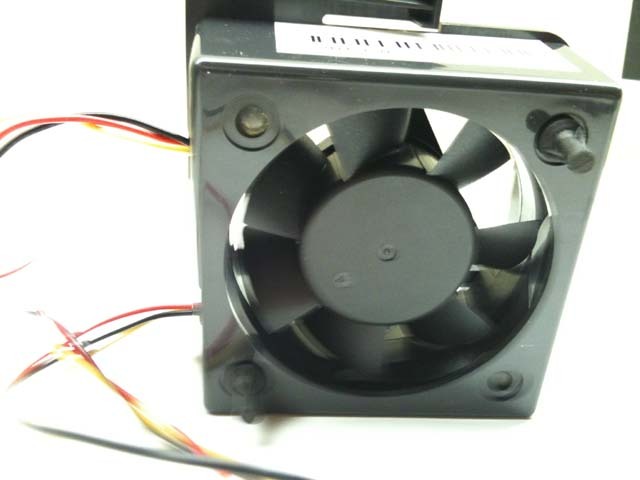 Fan can easily be removed from its case and measures 60mm diameter by 25mm deep. These are currently selling without the vibration resistant mounting for around $100.00. Unused.